By Friends of Boone Trace, Inc. 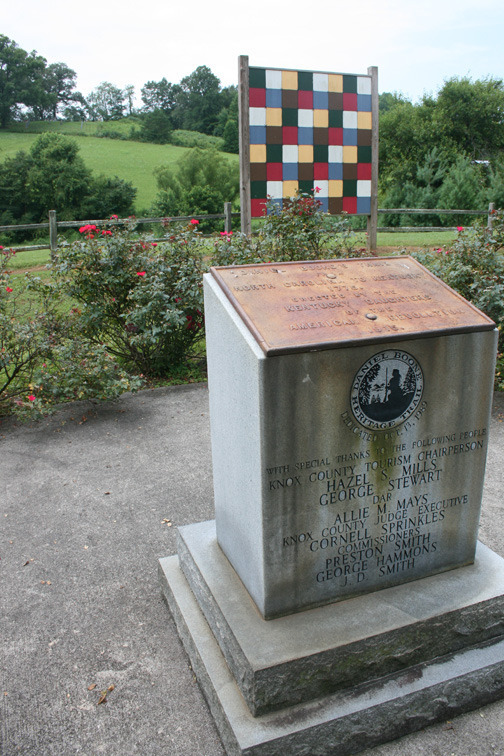 Historical Marker #1600 in the town of Flat Lick (Knox County) commemorates an important point of divergence, if traveling north, or convergence, if traveling south, of the three major frontier roads in this region: the Warrior's Path, Boone Trace, and the Wilderness Road. Flat Lick was a popular campsite location for Native American travelers. The early explorers called Long Hunters, who were individuals from the states east of the Appalachian Mountains who went on hunting and trapping expeditions for extended periods of time, also regularly camped at the site. Traveling north at Flat Lick, the Warrior's Path, the ancient Native American trail along which they traveled to wage their wars, forked off to the east and then again northward, roughly linking to modern Highway 89, to the Indian towns of Eskippikithiki, near Winchester, Kentucky, and Chillicothe in Ohio. Flat Lick, named so because of a large salt lick nearby that drew game, became an important location for settlers and hunters. Also, it is near Stinking Creek just to the north, so named because hunters would clean their animal kills and throw the carcasses into the creek. Boone Trace, the historically significant trail marked by Daniel Boone and his group of trailblazers during March and April 1775, passed through Flat Lick and continued north, possibly following an older, primitive hunting trail called Skagg's Trace, to an area called Hazel Patch in what is now Laurel County. Boone Trace then went on to Boonesborough. As more and more settlers ventured through the wilderness in pursuit of a new life and prosperity along Boone Trace, the government became involved and decided that a decent wagon road was necessary. James Knox and Joseph Crockett were hired to design and build a wagon road meeting specifications of 30 feet wide that would accommodate a 1,000 pound load. 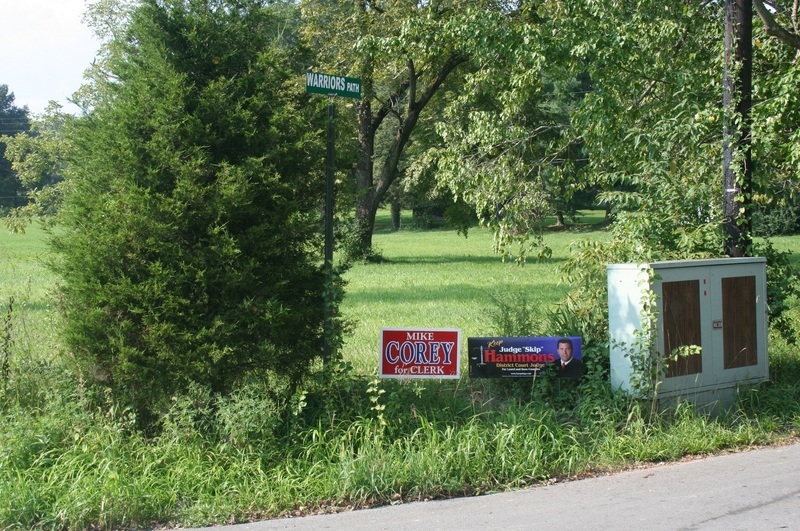 This new road came through Flat Lick but then began to diverge from Boone Trace, criss-crossing south of London, Kentucky, and forking off to the west completely at Hazel Patch toward Crab Orchard, Stanford, Danville, and ultimately Louisville. This road officially became known as "The Wilderness Road" in 1796, essentially evolving out of Boone Trace. Today, to help commemorate this location on Boone Trace, there is a beautiful, small city park at this site in "Old Flat Lick" with several markers and monuments to view and educate the public. 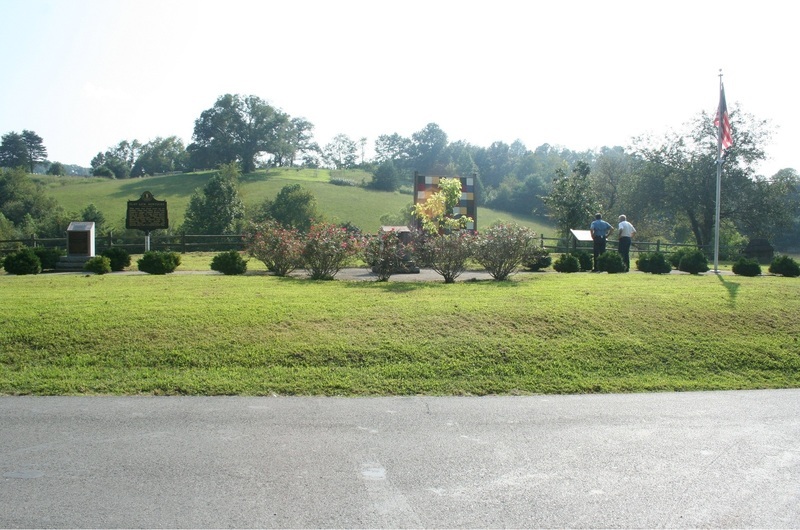 Daniel Boone Park: The Flat Lick highway marker is located at the Daniel Boone Park in Flat Lick (Bell County). 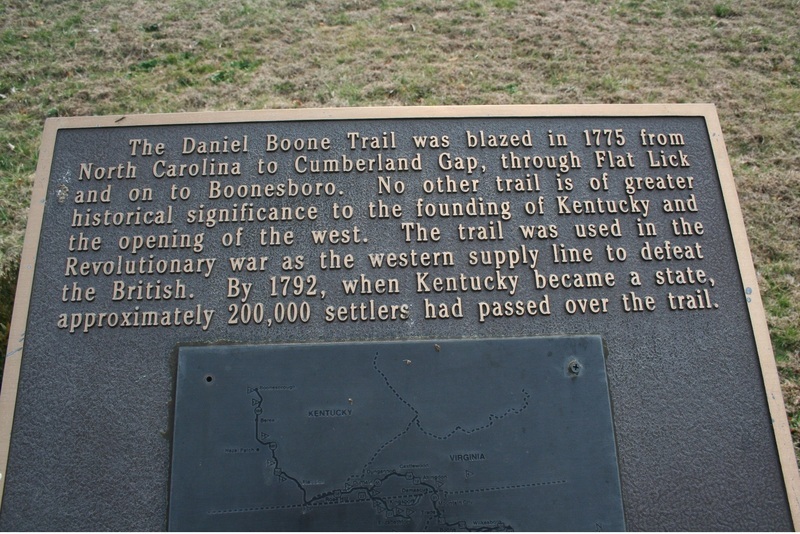 Courtesy of Friends of Boone Trace, Inc.
Daniel Boone Park: The inscription on a monument plaque at the Daniel Boone Park in Flat Lick, Kentucky, reads in part: "No other trail is of greater historical significance to the founding of Kentucky and the opening of the west." Courtesy of Friends of Boone Trace, Inc.
Warrior's Path: A street sign across from Daniel Boone Park in Flat Lick reads: “Warrior’s Path,” indicating the location where the original Warrior's Path diverged to the east away from Boone Trace and the Wilderness Road. 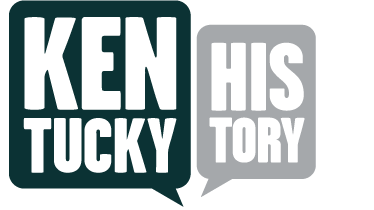 Courtesy of Friends of Boone Trace, Inc.
Friends of Boone Trace, Inc., “Flat Lick, Kentucky,” ExploreKYHistory, accessed April 22, 2019, https://explorekyhistory.ky.gov/items/show/414.